In the 3rd century BC a Greek settlement Tragurion which developed into a major port in the Roman period. 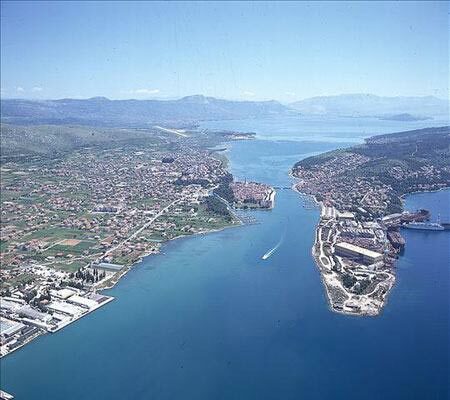 Sudden prosperity of Salona deprived Trogir of its importance. 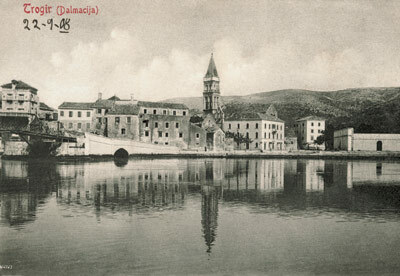 During the Croatian migration the citizens of the destroyed Salona escaped to Trogir. 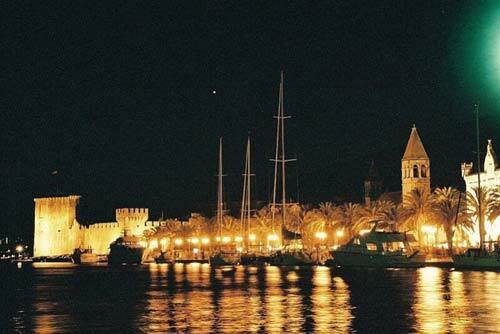 From the 9th century Trogir was paying tribute to the Croatian rulers. 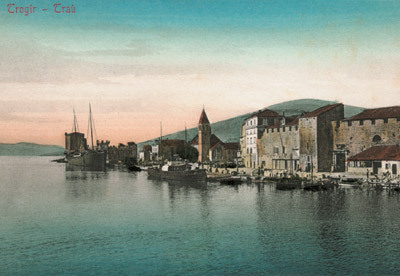 The diocese of Trogir was established in the 11th century (abolished in 1828) and in 1107 it was chartered by the Hungarian-Croatian king Koloman, gaining thus its autonomy as a town. In 1123 it was conquered and almost completely demolished by the Saracens. 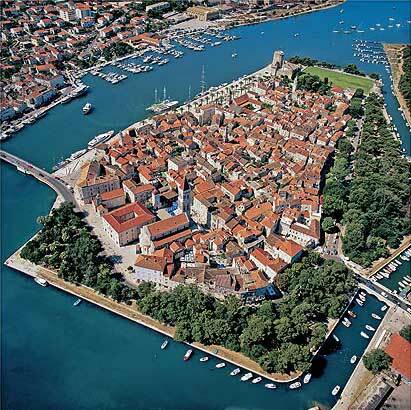 However, Trogir recovered in a short period to experience a powerful economic prosperity in the 12th and the 13th centuries. 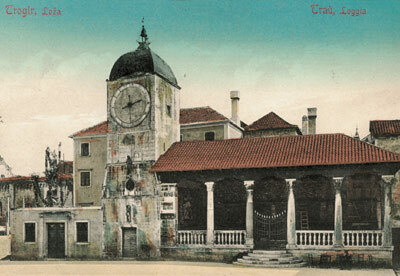 In 1242 King Bela IV found refuge there as he was running from the Tatars. 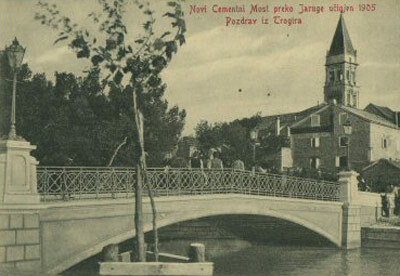 In the 13th and the 14th centuries the members of the Subic line were most frequently elected dukes by the citizens of Trogir; Mladen III (1348), according to the inscription on the sepulchral slab in the Cathedral of Trogir, called "the shield of the Croats", was one of the most prominent Subics. In 1420 the period of a long-term Venetian rule began. 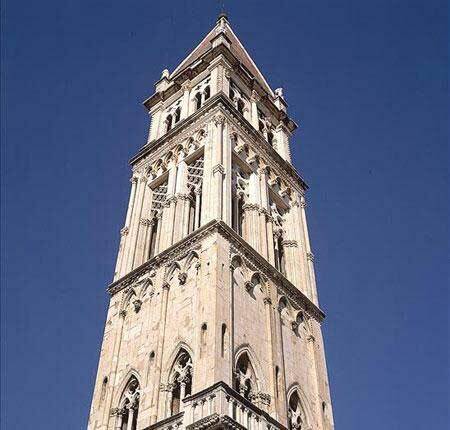 On the fall of Venice in 1797 Trogir came under the Austrian power, which lasted until 1918 (except for the per-iod under the French rule 1806-1814). In 1918 it was returned to the parent country.